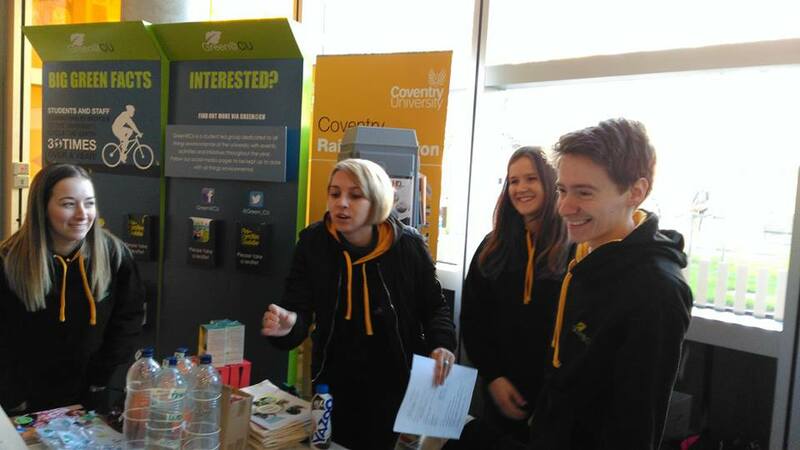 My name is Carys and I’m a Student Ambassador for Green@CU, part of the University’s Environment Team. We promote sustainability across the campus! 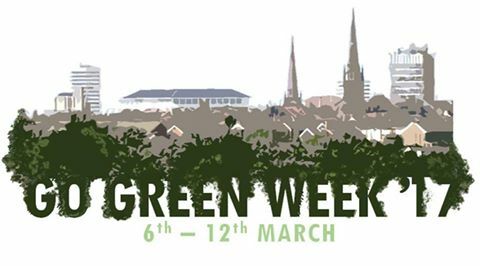 For Go Green Week 2017, Coventry University have teamed up with Coventry City Council and Warwick University to get the whole city involved. From 6-12th March there will be loads of different events you can visit, where you can talk to people and get involved. See the full schedule below! “How can I get involved”, I hear you ask? 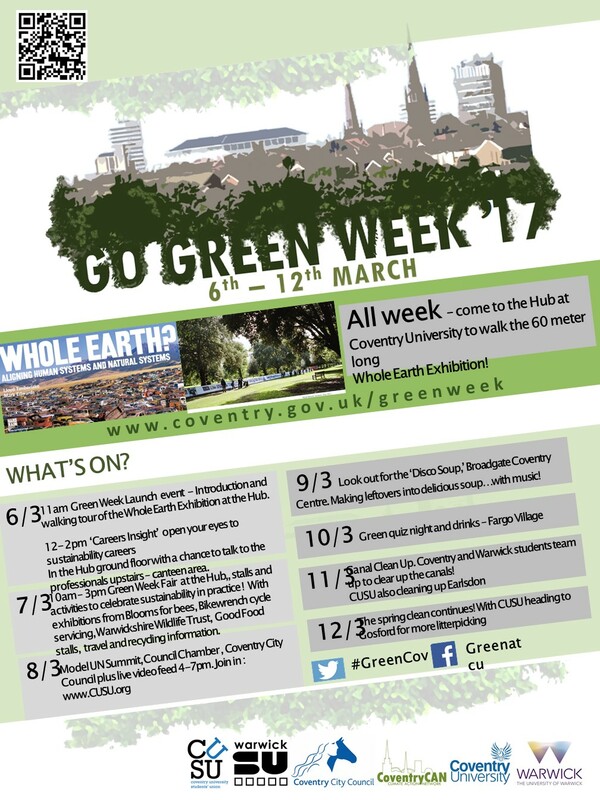 Highlights include the launch of Go Green Week on Monday 6th March, with the unveiling of the Whole Earth Exhibition banner at 11am (meet at TheHub). On Tuesday 7th, the Go Green Week Fair is back in TheHub, with a Green@CU stall, Bikewrench cycle servicing, Warwickshire Wildlife Trust and loads more! Wednesday sees the model United Nations Summit debate at 4-7pm in the City Council Chambers. Visit cusu.org for more information. This weekend (11-12th) there will be a number of litter-picking and clean ups, check the schedule for further details of where and when you can give a small amount of time to help keep Coventry green! These are just some of the many events happening, take a look at the full schedule below for all the details and don’t forget to tweet #GreenCov!